The state-of-the-art Product has been designed and engineered for customers deriving from various industrial sectors. All of them searching through for a perfect combination of quality, uninterrupted production and intuitive operation wrapped up in the affordable purchase price and low costs of maintenance. Revolution in laser welding is not just a game of words – it is a FACT. Our goal was to design a top-notch automated laser welding system which would combine advanced technology and unparalleled software in a smart and uncompromising way. MLS1000 comes with SCOUT laser scan head proudly developed by K-LAB. This unique marriage of laser processing guided by ultra precise machine vision technology offers welding solutions that are impossible to duplicate with existing scan head technology. 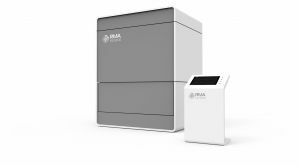 Intuitive operation, li limitless programming possibilities, and user-friendly features allow the MLS1000 to excel in many diverse applications, resulting in reduced set up times and increased production. 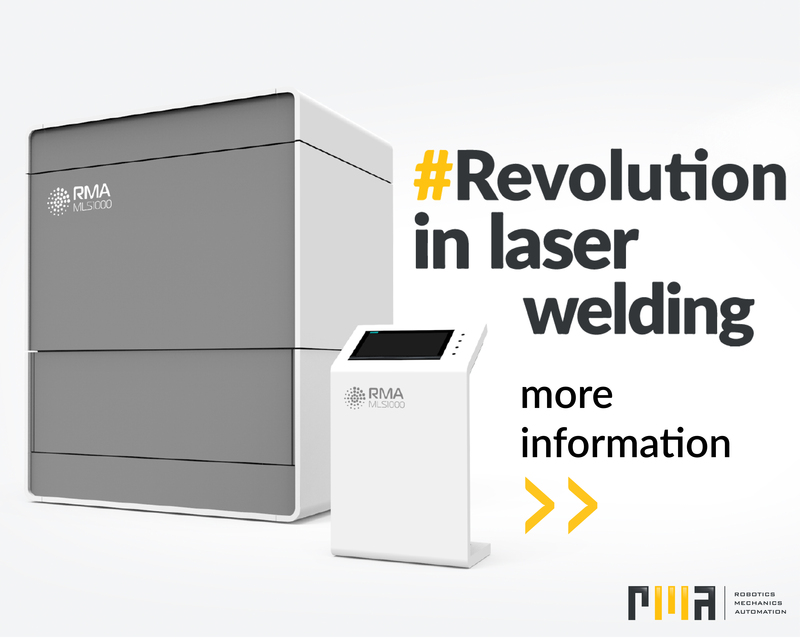 #Revolution in laser welding - RMA sp. z o.o. 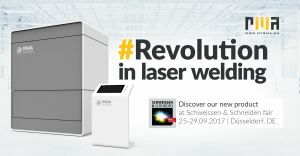 Come and discover our unique and highly efficient laser welding solution at Schweissen & Schneiden Trade Fair in September. Our state-of-the-art Product has been designed and engineered for Customers deriving from various industrial sectors. All of them searching though for a perfect combination of quality, uninteruppted production and intuitive operation wrapped up in affordable purchase price and low costs of maintenance. Creative Engineering is the motto that stands for RMA Sp. z o.o. since the beginning. For almost 10 years, using state-of-the-art technology, we have enabled our customers to improve their technological processes, resulting in a range of benefits, such as streamlining production processes, reducing production costs, improving product quality, and increasing productivity and security at the workplace. Our offer is addressed to all branches of industry. The projects are carried out comprehensively to individual customer needs, from concept and examination needs, through manufacturing, installation, and start-up of. Ready-made products and solutions are always delivered with a guarantee, efficient service and post-warranty service. Undoubtedly, the company's biggest asset is the team of experienced engineers and specialists who are able to undertake projects that require broad knowledge and skills. Completed projects are recognized among customers, which contributes our projects for many awards and brand contests. Design and manufacture of production sites using industrial robots equipped with various types of grippers and manipulators, vision systems, measurement and detection systems. Construction of fully automated, partially automated and manual production lines, machinery, equipment, assembly stations and tools. Process handling using industrial robots such as welding, palletising, packaging, moving, painting, machining. Design and manufacture of control systems for industrial automation, control cabinets, and electrical switchboards. Programming and servicing automation systems based on programmable PLCs (Allen Bradley, Siemens, GE Fanuc, Unitronics). Visualization of industrial processes (design of SCADA systems - Intouch, HMI operator panels). Technical consultancy in the field of robotics, mechanics, automatics. Maintenance and modernization of industrial machinery and equipment. Distribution of equipment and solutions to manufacturers, such as laser heads, cooperating robots (Cobots), including deployment and servicing. Training in operation and programming of industrial robots. Experience, many completed projects, and skills will allow us to comprehensively meet your expectations and encourage cooperation.